Karey is the kind of runner that people are drawn to. She exudes a glowing energy that she radiates to others. 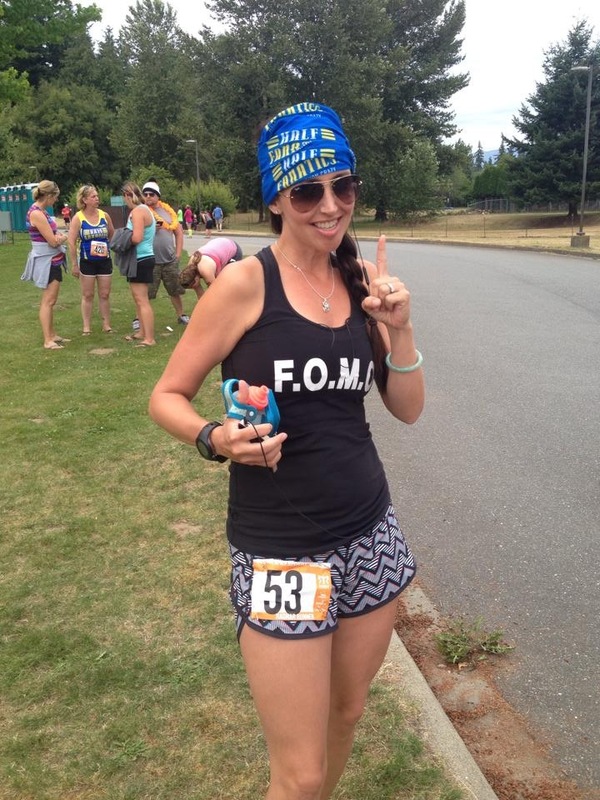 Her encouragement and enthusiasm inspire runners. She has worked closely with all the Fleet Feet Training Programs and is an involved Half Fanatic and Marathon Maniac run club member. Karey is a pleasure to have on board with the Fleet Feet Coaching Staff. She is fearless and confident and…guess what? That energy will transfer right over to you! "I started running because it had been 8 mos since I had my son and I needed to do something drastic to get out of my funk. I've always been active swimming and cycling, but neither of those were working out...master swim at 5am was now too early and cycling was bothering my knee.. I will try running! I signed up for my first run/race with my Bestie, the Eugene Half on 4/29/12. It was January 7, 2012 that I started running with a training group. After all, I needed to learn how to run!!! I had never ran over a mile or two before and despised running. That was the beginning of my crazy running addiction. Six months after running my first half, I ran my first marathon (trail marathon). All I could see was yellow! Maniac yellow! I was going to be a Maniac, actually a double agent. Since then I've ran 34 races including 9 Halfs, 14 marathons, 1 50k, 2 25k, 20 miler, some 12k's, Ragnar a few times, and I got in a double marathon! I'm so thankful running has brought me beautiful friendships, a family community, love and support. Running makes me a better wife and mother. It's made me so much stronger mentally and physically"